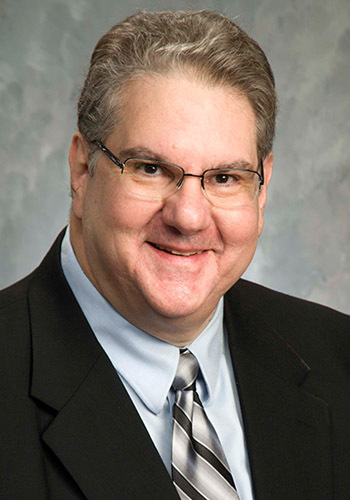 Dan Gioia - Mediator & Arbitrator based in Valparaiso, Indiana. Please click your preferred available date to submit a request. Your Appointment Form will be sent to Dan's assistant, Augusta. DAN GIOIA was born in Bellerose, New York. His parents were both born & raised in New York City. He practices Dispute Resolution as an experienced Family Law Mediator and Civil Case Mediator. He has served previously at the request of the Indiana Supreme Court - on the Joint Task Force for Alternative Dispute Resolution Rules, and the Domestic Relations Focus Groups for Family Law Mediation - - which were responsible for recommending revisions in the Rules and Procedures of the Indiana Supreme Court & the Indiana Alternative Dispute Resolution Rules. Dan has also served as a Law Professor & an invited participant with the Indiana Bar Association Conclave’s for Legal Education in 1997, 2003, 2007 and 2011: an effort which has convened the Deans and Faculty from all of Indiana’s law schools; and Judges from all levels of the Judiciary; and select - influential Practitioners and Members of the Bar; to study and improve all aspects of legal education for the legal profession. He currently serves on the Adjunct Faculty of the Valparaiso University School of Law and he has taught the course on Medical Malpractice every year since 1999. He also serves regularly as a faculty member for C.L.E. in the areas of Medical Malpractice; Legal Malpractice; Law – Medicine - & Medical Bio-Ethics; and he has also moderated the Lake County Bar Association’s Medical Bio-Ethics Seminar in 2004. Dan served as the President of the Lake County Bar Association in 1990; and he served as the President of the Calumet American Inns of Court in 2002 & 2003. Dan’s day-to-day practice includes serving regularly as the Chairman of Indiana’s Medical Review Panels for the Indiana Department of Insurance in Indianapolis. He served as a member of the Board of Managers of the Lake County Bar Association from 1986 to 1990; and again in 2009. He is also a member of the Indiana State Bar Association, and the American Association for Justice. Dan is a past-president of the Indiana Supreme Court Commission for Continuing Legal Education; having completed two - three year terms with the C.L.E. Commission. In 1996, he served as Chair & Moderator of: “Teaching Techniques for the 21st Century”, a Seminar for Indiana C.L.E. providers, sponsored by the Indiana Supreme Court and its Commission for Continuing Legal Education. Dan is also a member of the American Society of Law, Medicine & Ethics since 2004. Dan has participated annually since 1985 as an invited Guest & Lecturer at the week-long Medical-Legal Course taught by M.B. Segal, M.D., J.D., a mandatory requirement for all graduating Resident Medical Students in Emergency Medicine at the University of Chicago.